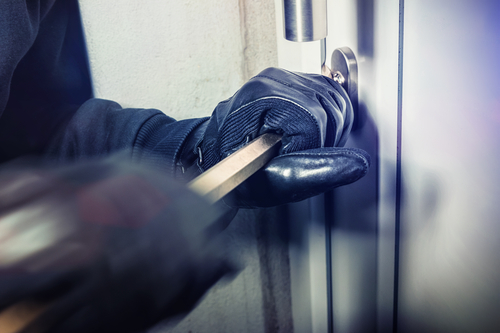 Leaving your house unattended can be very stressful, but there are many ways to make sure your home is not a target for criminals while you’re away. While the holidays are the main time houses are vulnerable, these tips and security methods can help during any vacation from home. This may seem like common sense, but posting on social media that you are going out of town or while you are out of town is the easiest way to put a target on your house. You’re excited about your trip and can’t wait to post those gorgeous views for all to look at. Just know that social media is a very public place and if you’re like me, half of your “friends” are probably just people you once knew or met in passing. If something did happen to your home while you are away, you can have peace of mind not wondering if your social media post was the reason someone found out it was unprotected. A small tip here as well is if you are using some sort of car service to shuttle you to and from the airport, try not to share too much information on where you are going and for how long. This next precaution I learned the hard way. No soliciting signs are extremely helpful to have up, especially when you will be gone more than a regular work day. On Christmas Eve one year, a landscaping business came by and left an actual orange and a flyer on every doorstep in the neighborhood. In just a couple of days, you’d know by the ripe or rotten orange who was home for the holidays and who wasn’t. Find a friend or family member you trust to take care of your trash and mail/newspaper. It may sound silly, but asking someone to roll your cans to the street on garbage day, even if they’re empty, is the easiest signal you can send to the neighborhood that someone is around. If you don’t have someone that can help out, you can always put a hold on your mail until you return. It’s also wise to cut your grass or move snow before you head out, so it doesn’t look like you’ve been gone a long time. My favorite part of prepping my home for a vacation is setting up the mechanical timers for the lights. You can find these at Wal-Mart, Target, Lowe’s, etc. and are a great investment to setting the illusion that someone is home. Think of your daily routines when setting up these timers. Don’t just set up a lamp by a window thinking that this says someone is home. If someone is tracking movements in the neighborhood, you want to have lights go on and off around the time you would get home from work, be getting ready for bed, waking up in the morning, and anything else you may do regularly. Set up timers with your TV or a radio station to turn on and off when you normally watch or listen to something when you’re home. A little bit bigger of an investment could be a video doorbell (not that criminals would be ringing it), a camera system, or even an alarm system. While basic video doorbells just help if someone pushes the button, there are some models that have motion detection capabilities and start recording if someone is nearby. Include environmental sensors such as flood, smoke and carbon monoxide sensors if you decide to invest a little bit more into security measures. A home security alarm system will either deter criminals or at least alert authorities if something does take place. Motion sensor outdoor lights can also deter criminals and don’t waste a lot of energy since most of them only turn on at night or by motion. The simplest things you can do are lock all doors and windows, bring spare keys inside out from their hiding places outside, disconnect your garage door while you’re gone, lock up your valuables and other items in plain sight. Don’t forget to lock your vehicles (inside or outside of the garage). If you usually leave your curtains or blinds open, do so a little bit less and make sure a TV or computer isn’t in clear sight of the window. Home phones are mostly extinct these days, but if you still have an old-fashioned home telephone, disable the ringer so no one can hear it ringing constantly. The most important thing to remember is to not overthink security and do things that are in your normal routine.